Flags of Peace is an ongoing project we initiated to explore this ambiguity further. The project forms a visual dialogue around peace and its indefinite symbolism. Initially we invited over forty reputable designers and artists, each from a different nation across the globe, to propose a flag design, showing how they believe peace should be portrayed. The first showcase took place at De Pier, The Hague, over the Just Peace festival, International Day of Peace and Today’s Art. These forty-four flags presented a spectrum of ideas on peace. Each highlighting a particular nation’s relationship with, and view towards, international peace. We wish to ask the questions: What defines peace? How should it be symbolised? And what must a peace flag achieve? 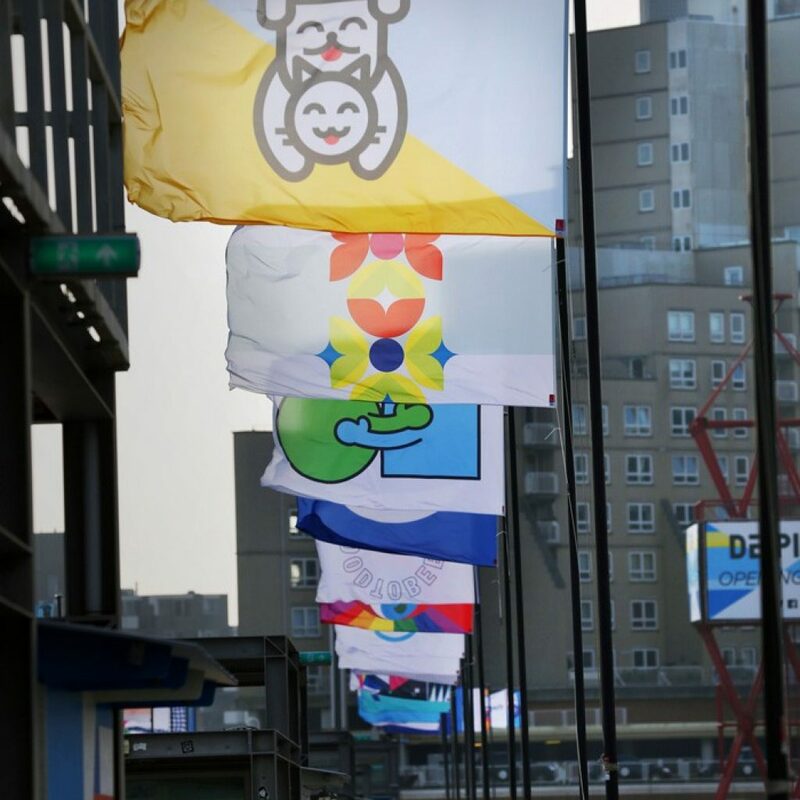 Flags of Peace will continue, aiming to collect a flag design from each of the 196 countries in the world. Along this journey, international exhibitions will present the progress. Visit flagsofpeace.com to follow the project’s development and see the initial forty-four designs.